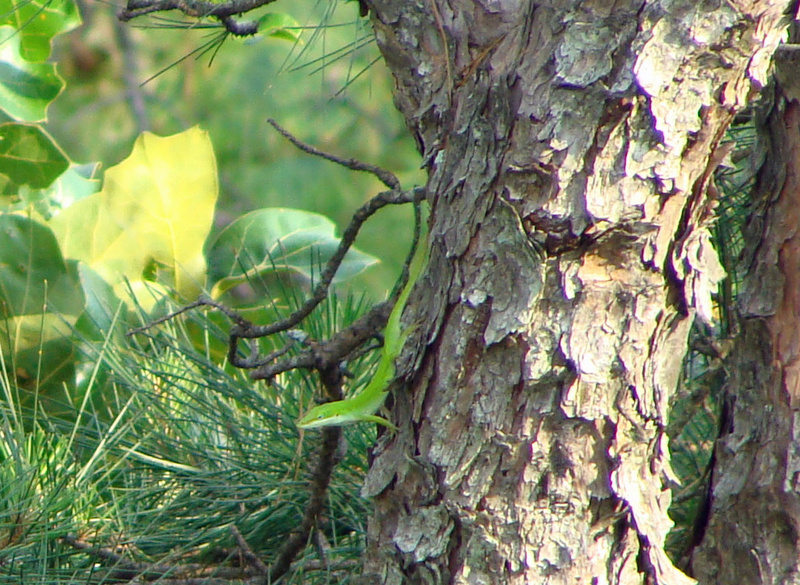 This green anole should be blending in with the foliage, but here he’s branched out, taking quite a chance on the trunk of this pine tree. Green anole looking for love in all the wrong places. 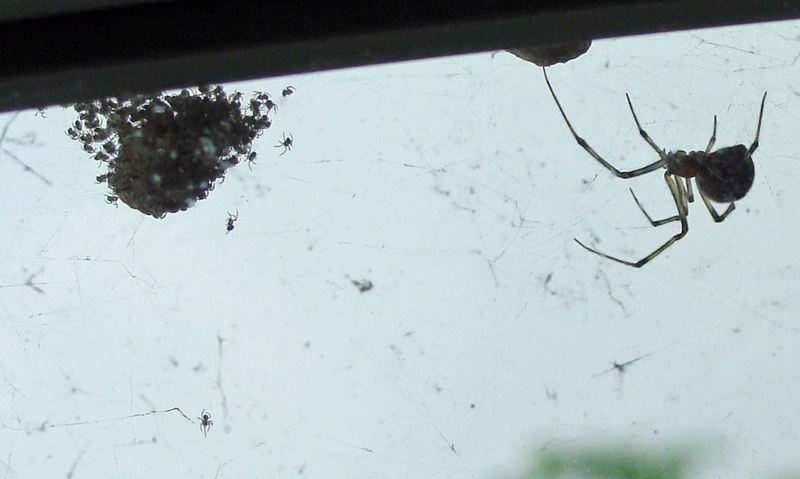 This common house spider has proven to be a very successful mother. One egg sac hatched this morning. Two others are waiting. An entomological version of the old Contac’s hundreds of tiny time pills. House spider minds an egg sac, while another bursts forth with hundreds of tiny little house spiders. With the hour, these newly hatched spiders are wandering the web highways built by mama house spider. 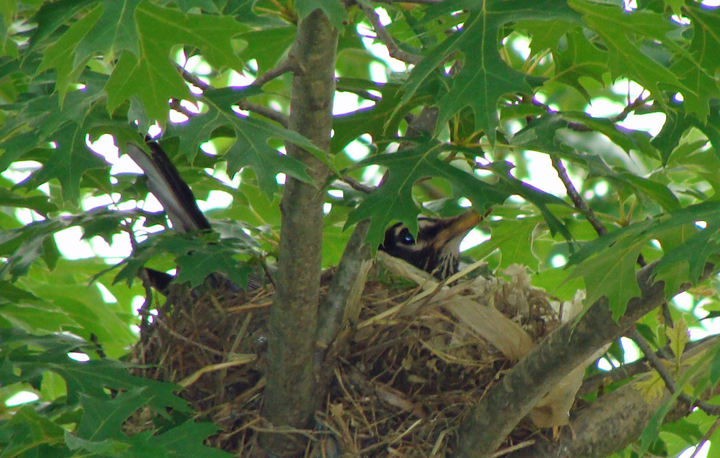 The UALR parking lots were also home to this mother robin, patiently sitting in her nest in early May. By the end of the month, she had disappeared. Perhaps she and her brood were among the May graduates. Mother robin is well hidden in this small oak tree in one of the UALR parking lots. 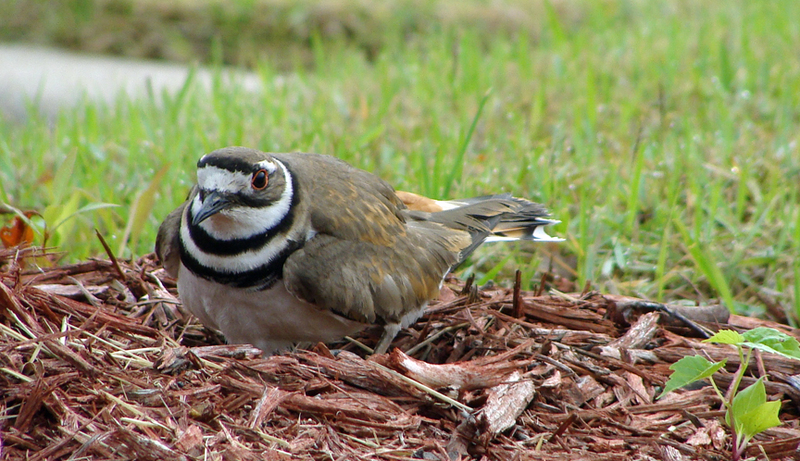 This killdeer has twice set up a nest in a little bit of mulch in one of the parking lots at the University of Arkansas at Little Rock. Not sure what happened to her first clutch of four eggs. She’s back with another clutch, and just as fierce in the defense of her nest as ever. Don't mess with mama killdeer. 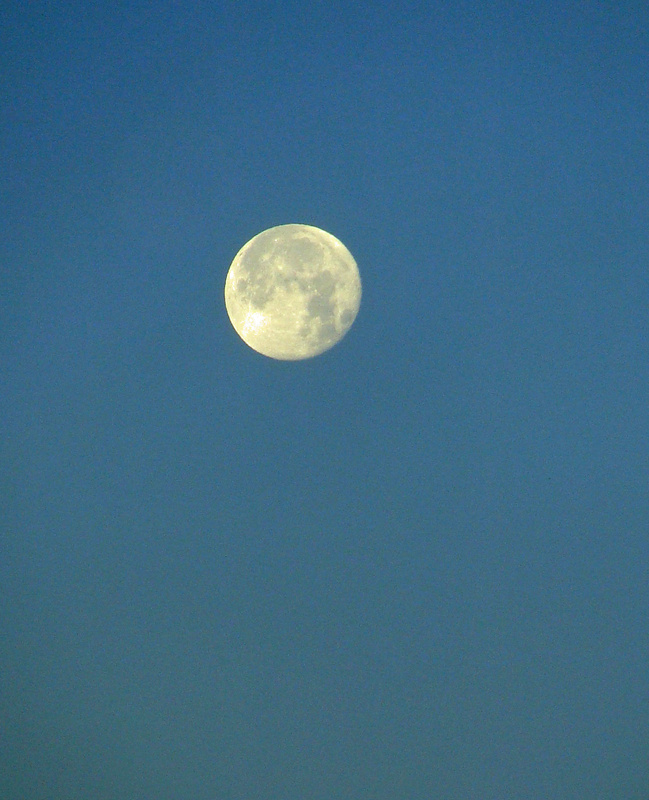 The clear sky provides the moon a spectacular setting over the Ouachita Mountains just before moonset. 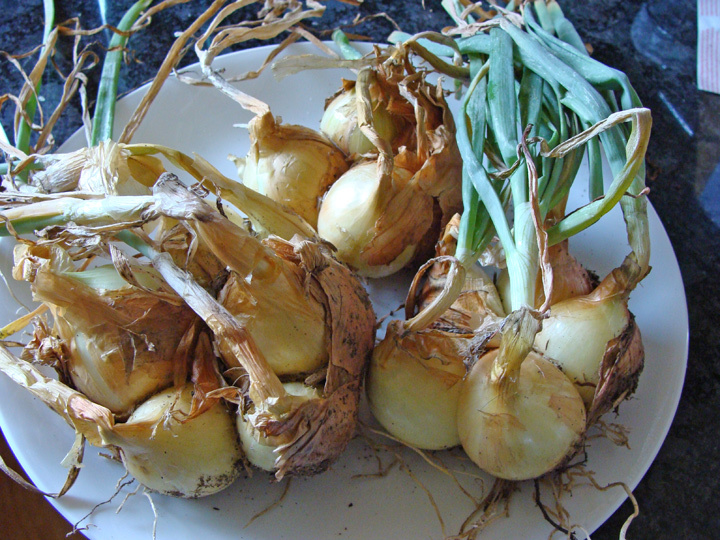 Harvested homegrown onions today. Produce doesn’t get more local than this. Harvested a little — emphasis on “little” — garlic a couple weeks ago that wound up in spaghetti sauce. 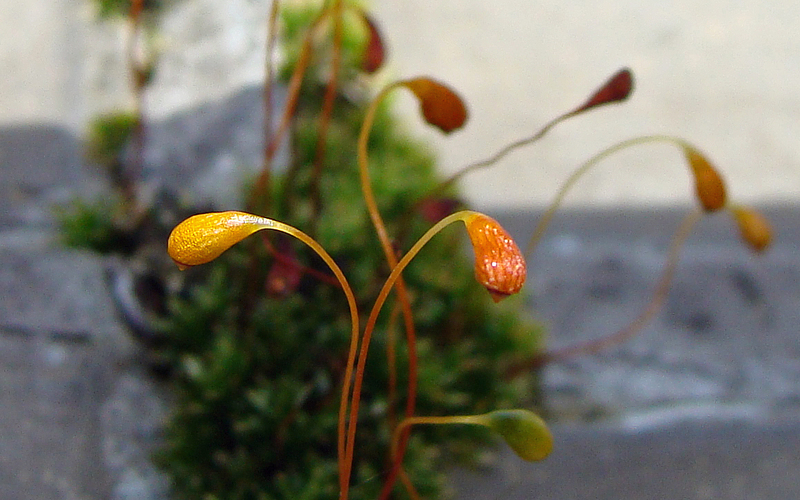 Fruiting bodies make moss look like some alien creature or some mid-century decorative fantasy. Or maybe this moss is more 70s than mid-century. Avocado green shag, mustard yellow and copper fruiting bodies. Perfect for the Bradys' TV household. 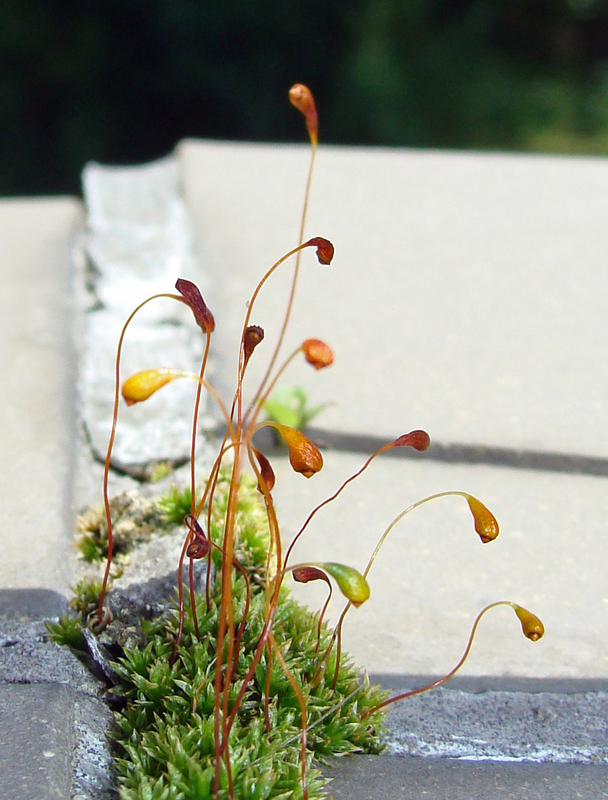 Moss gains a foothold on the grout between tiles on the deck. 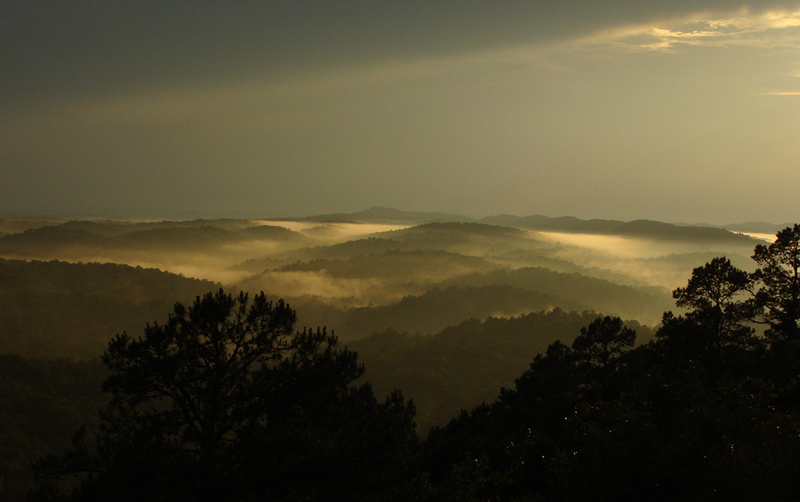 Light from the setting sun plays across mist left after the passage of a summer storm that flashed through the Ouachitas of western Pulaski, eastern Perry and northern Saline counties. Low clouds fill these Ouachita valleys looking into Perry County. A little flash. A little mist. A little bit like 35 wing beats per second. Sorry Dr. Edgerton, but Napoleon wins this round. 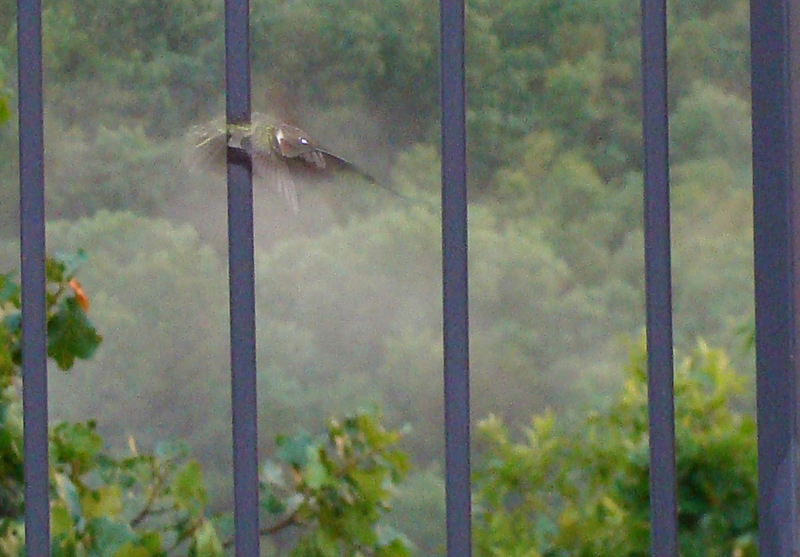 Hummingbird proves a little too fast even for a flash.